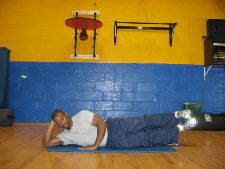 This page has 2 oblique ab exercise variations. Oblique exercises must involve twisting, rotation, or side bending to be the most effective at strengthening the obliques. Side Leg Raises can be done on the floor or on the Bosu Ball. Below are these two oblique exercises. Starting Position: Begin by lying on your side with your entire body in a straight line. You can rest your head on the floor or support your head with your bottom arm. Form: While keeping your feet stacked on top one another, exhale and lift your legs off the floor. Hold at the top for a brief second and then slowly lower back to the starting position. Personal Trainer Tips: Move in a controlled manner. Perform 8-15 repetitions on one side and then switch to the other side. 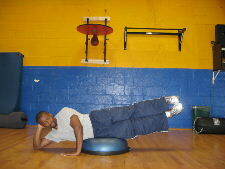 This ab exercise is similar to the above exercise; the only difference is that this exercise utilizes the Bosu Ball. 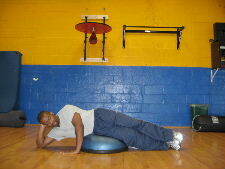 Starting Position: Begin by lying on your side on top of the Bosu Ball. Keep your body in a straight line. Form: While keeping your body in a straight line, slowly lift both of your legs up to the side. Hold briefly at the top and then slowly return to the starting position. Personal Trainer Tips: Compared with the floor, you will have greater range of motion on the Bosu Ball. You can make this exercise more difficult by adjusting your position on the ball. If your hips are over the top of the ball and closer to your head, it will be slightly easier than if your hips are on the side of the ball that is closer to your feet. 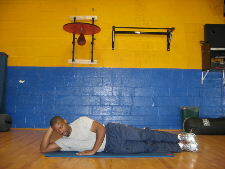 Adjust your body to the most comfortable position and perform 8-15 reps on one side before switching to the other side. 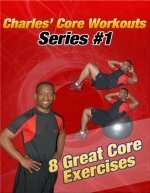 There are so many different ways to work the oblique muscles and exercise your spine. By working your abdominal muscles in different ways you will keep your body well-rounded and balanced.